Home BLUMLEIN, Michael THE BRAINS OF RATS. 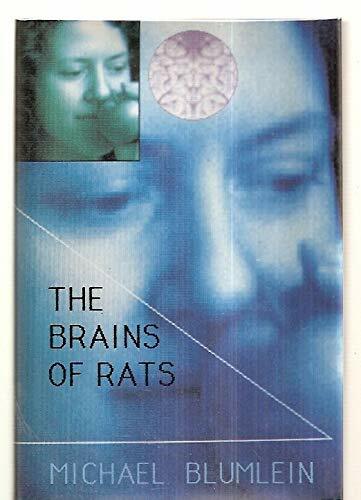 Title: THE BRAINS OF RATS. "There's a . . . detachment that happens as a physician when you're dealing with frightening, horrifying, or sad events that you maintain an objectivity that's required, and I do that also when I write." When so many tales of the dark fantastic are told as if with exclamation marks, Dr. Michael Blumlein's sonorous, objective voice is refreshingly chilly. This collection of 12 elegantly crafted stories (first published in 1990) displays a range of subject matter defying categorization as science fiction, horror, or fantasy. The title story, nominated for a World Fantasy Award, is a provocative thought experiment about gender identity. Other topics include radical surgery with political intent, a child's flight into another realm, a technopunk romance, and various surreal excursions into minds obsessed with family secrets, hauntings, madness, poverty.